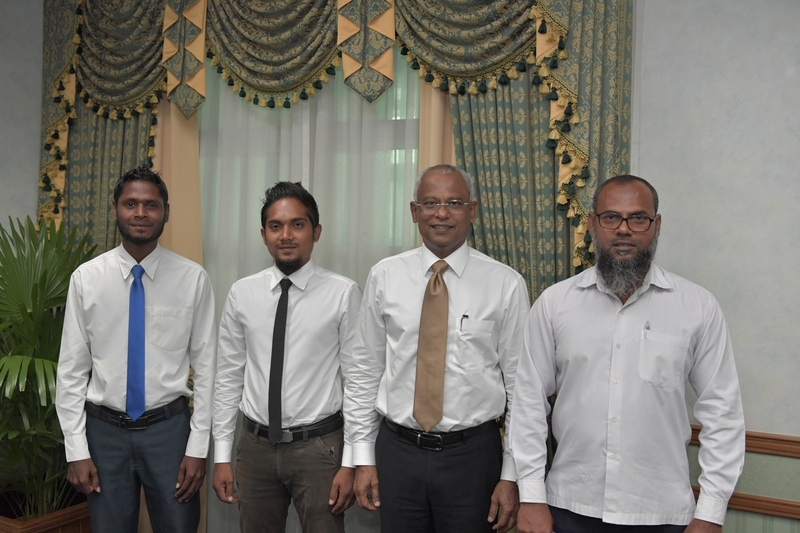 President Ibrahim Mohamed Solih has this afternoon met with the members of the South Thiladhunmathi Atoll Nellaidhoo Island Council. 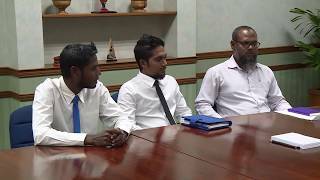 At the meeting held at President’s Office, members of the Island Council briefed the President regarding the concerns of the people and necessities needed the development of the Island. The Council members especially noted the challenges being faced due to the lack of proper clean water and sanitation system in the island. They also requested to solve the problems arising in the community due to the waste management issue in Nellaidhoo Island. The Council members presented a detailed report on specific requirements needed by the people of the island. In this regard, discussions were held on the issue of harbor project, electricity issue and health requirements needed for the Island. Speaking at the meeting President Solih stated the government would take necessary action after discussing with the line ministries and tackle these problems. He further stated the projects which are already included in the budget would commence during this year.